Readers, I’m introducing you to a new brand tonight! Proud & Co Kitchenware. I recently received a gift through the post: a lovely heat resistant, waterproof and non-slip oven glove. As I’ve mentioned several times, we recently painted the kitchen duck egg blue and it matches perfectly with our new look. Modelling the glove for the first time! 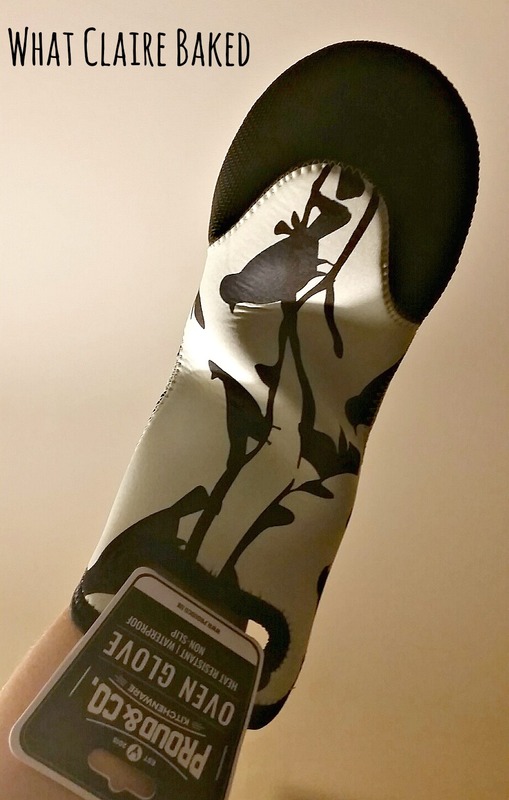 The design features silhouettes of birds on trees and is an elegant shaped glove. I really liked the waterproof feature. Often I have wet hands in the kitchen, so it’s good to know these won’t get soaked when I’m using them. 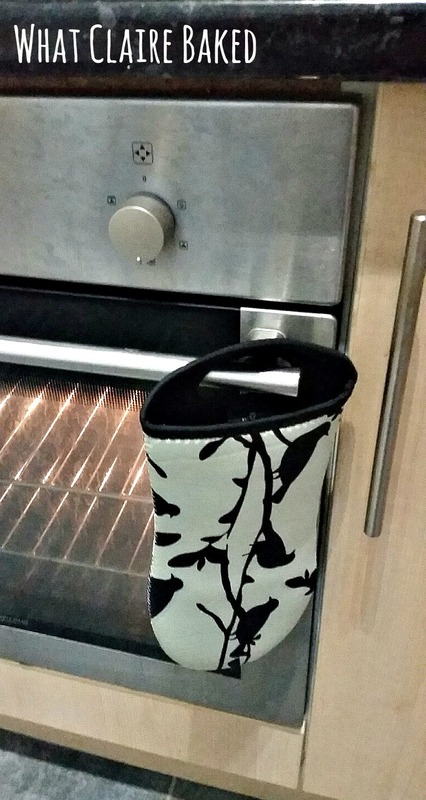 The non-slip feature between the palm and thumb sections are great – so often, when I’m lifting dishes out of the oven, I have the fear that the smooth ceramic of the dish against the smooth traditional oven glove are going to be a match made in disaster – cue pasta bake all over the floor. 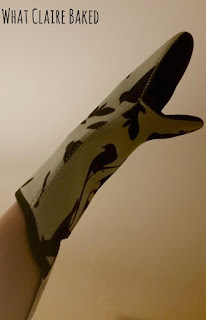 The glove will withstand heat of up to 500F – great if you’ve got the oven cranked up high! Also, genius – the glove is interchangeable for both hands. Delighted as a lefty – so often people assume it’s the right hand that goes in the oven to retrieve dinner… in my case, definitely not! The hanging loop at the top was great – I hung mine on the oven door for ease of reach in the kitchen. The glove is currently available for the special price of £8.99 on Amazon… grab yours before the price goes back up! P.S. It’s also machine washable. Great for messy cooks like me. I’m a huge fan of spilling Bolognese sauce regularly on my gloves. A huge thanks to Proud & Co for giving me the opportunity to try something new. Keep up to date on their latest developments over on Facebook.